The girl was reportedly getting ready for a PE lesson when the wall collapsed. 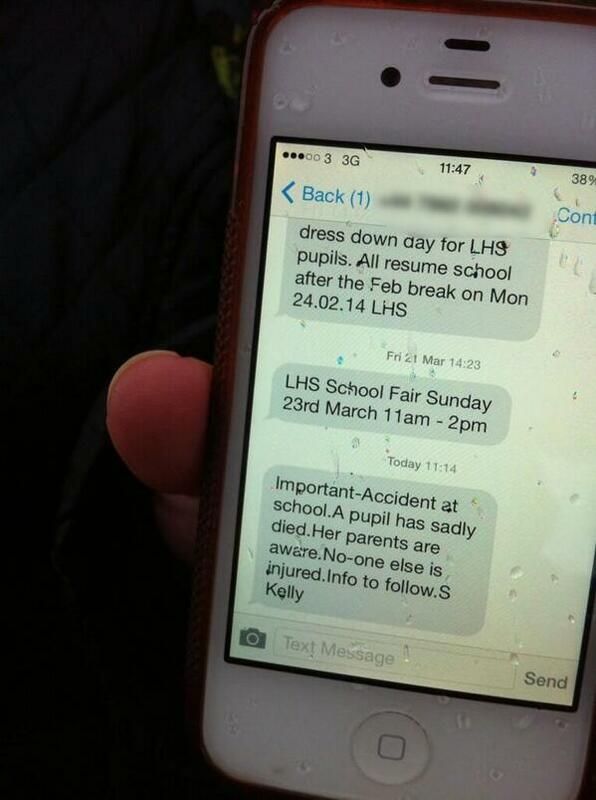 Parents of pupils at Liberton High School in Edinburgh reportedly received this text message today advising them a pupil had been killed in an accident. STV claims parents were sent the text around 11am after the girl was crushed by an internal wall in one of the school’s changing rooms. 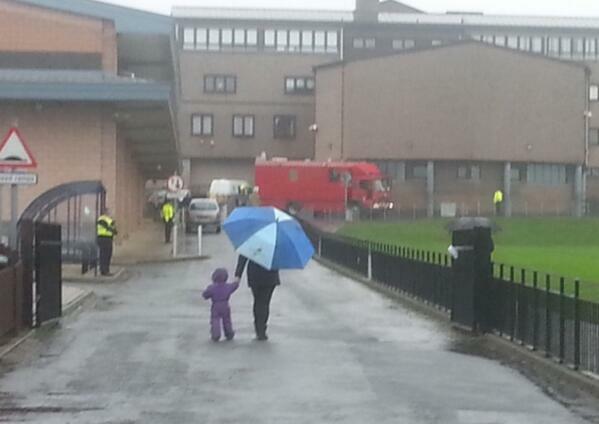 Pupils were reportedly being held inside the school but are due to be sent home shortly. A Police Scotland spokesman is quoted by the BBC as saying: "Police in Edinburgh responded to Liberton High School after a wall within the building collapsed, injuring a female pupil at 10:00. "She was treated by ambulance staff on the scene, but was pronounced dead. "Inquiries into the full circumstances surrounding this incident are ongoing and we are working alongside our relevant partner agencies." Fire crews were also sent to the scene and helped remove the girl from the collapsed structure. A pupil at Liberton High School has sadly died following an incident at the school. Senior education staff and health and safety officers from the council are at the school providing support to staff and pupils.An updated statement on behalf of the school will be issued later. Flowers left outside Liberton High School in Edinburgh. In February the council was fined £8,000 after a pupil at the school fell down a lift shaft. The girl, who was 15 at the time, suffered three fractured vertebrae, bruised her neck and sprained her wrist in the accident.